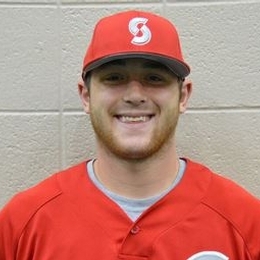 June 9, 2015 - The National Junior College Athletic Association (NJCAA) has announced its All-American teams and Sinclair's sophomore outfielder Jimmy White was named to the Division II 1st team for 2015. The sophomore outfielder from Cincinnati Elder H.S., had a record setting season as he paced the Pride to a record 50 wins and earning the OCCAC Player of the Year Award.Jimmy ranked number one in all but one offensive stats for the Pride this season guiding his team to the NJCAA Region XII Championship game, where he was named to the All-Tournament team. Falling just one game short of advancing the NJCAA College World Series, he also earned 1st Team honors for NJCAA Region XII. In one of those amazing stats, Jimmy set five Sinclair single season records his sophomore campaign as he racked up 205 at-bats after only having 56 AB's his freshman year. White now owns the single season records for the following offensive categories: runs scored (75), hits (90), doubles (21), home runs (14) and runs batted in (85). Not only was the 85 RBI a record at Sinclair but it also ranked 2nd nationally. Thinking in terms of a hot bat, Jimmy accounted for a total of 19% of the team RBI's as he blasted a .805 Slugging Percentage. After collecting the OCCAC Player of the Year, 1st Team All-Region XII, All-Tournament Team Region XII, 1st Team NJCAA Division II 1st Team All-American Awards and setting 5 single season Sinclair records, Jimmy also earned the NJCAA Division II Marucci Elite Hitter Award as one of the nation's best hitters.Jimmy has decided to continue his career at Madonna University in Livonia, Michigan. The Crusaders play in Wolverine-Hoosier Athletic Conference (WHAC) and is a member of the National Association of Intercollegiate Athletics (NAIA).